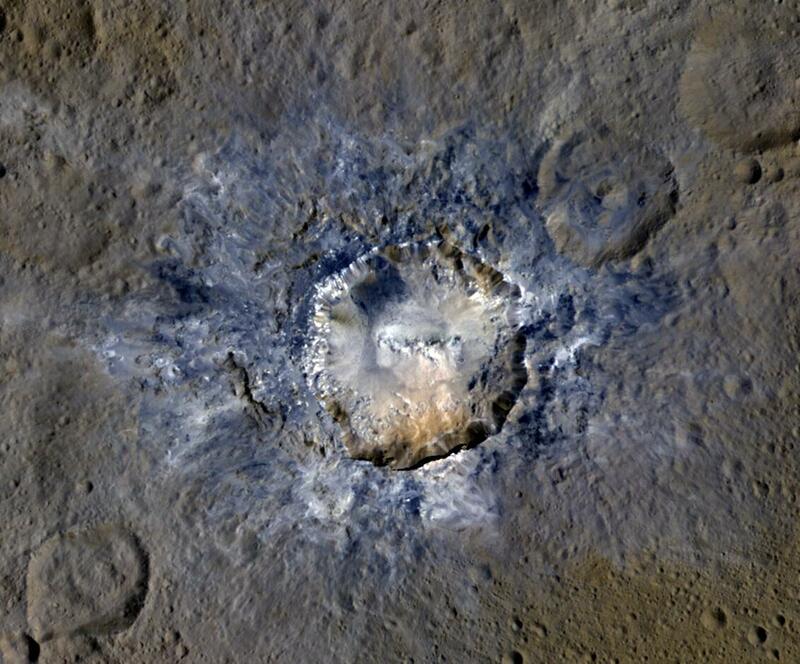 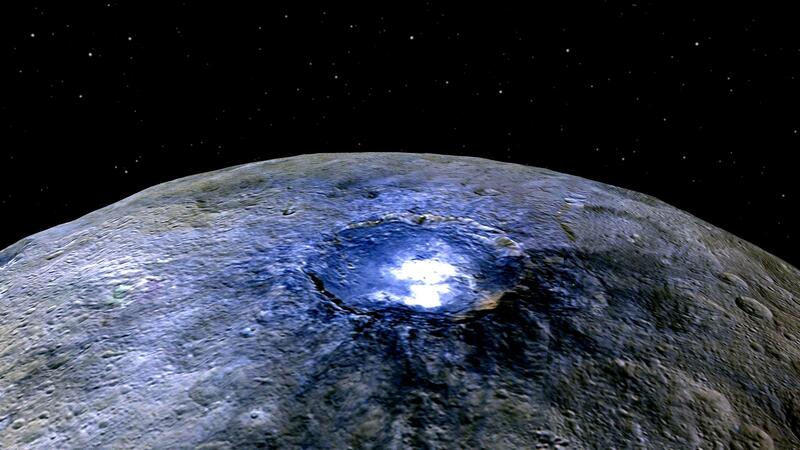 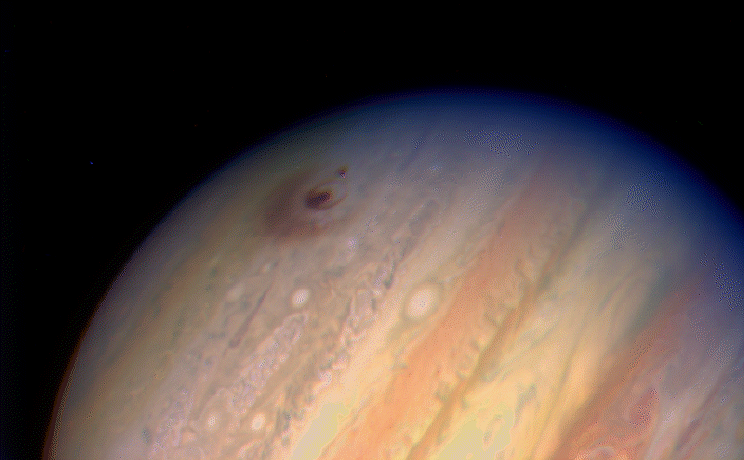 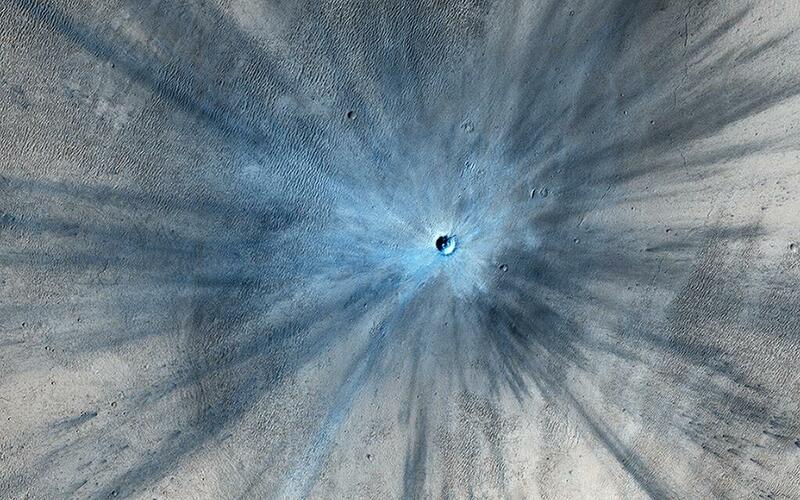 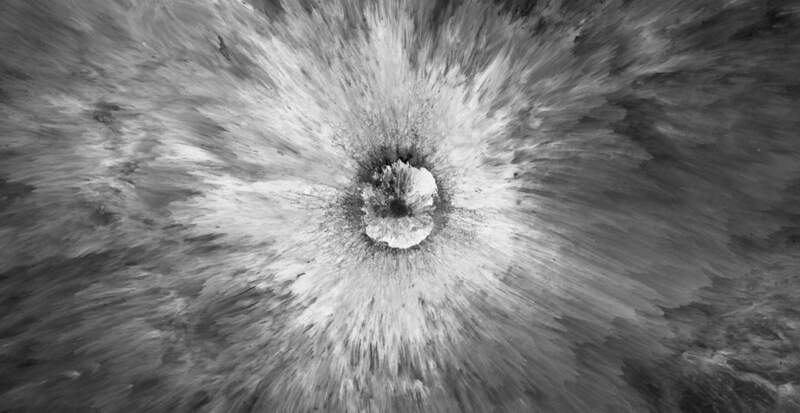 Craters formed by high-speed impacts are the dominant surface feature throughout the solar system. 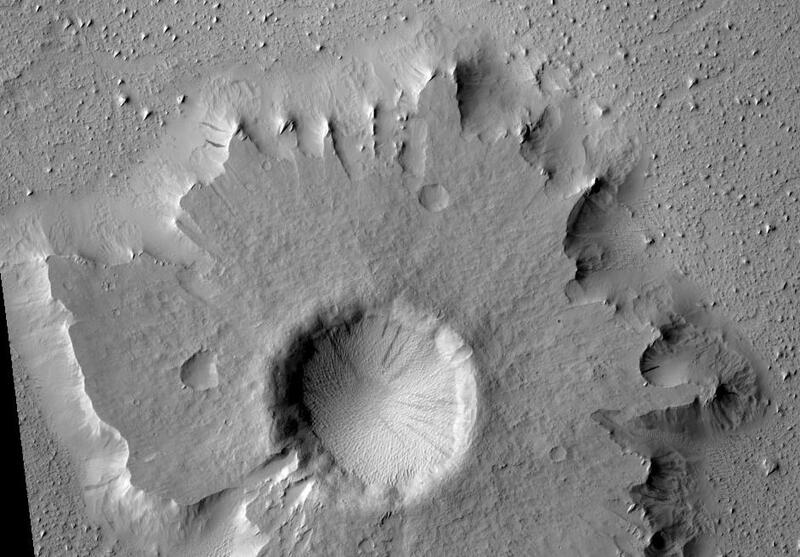 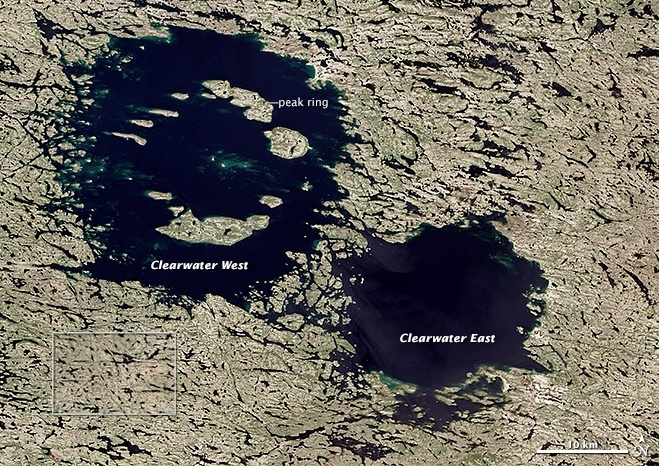 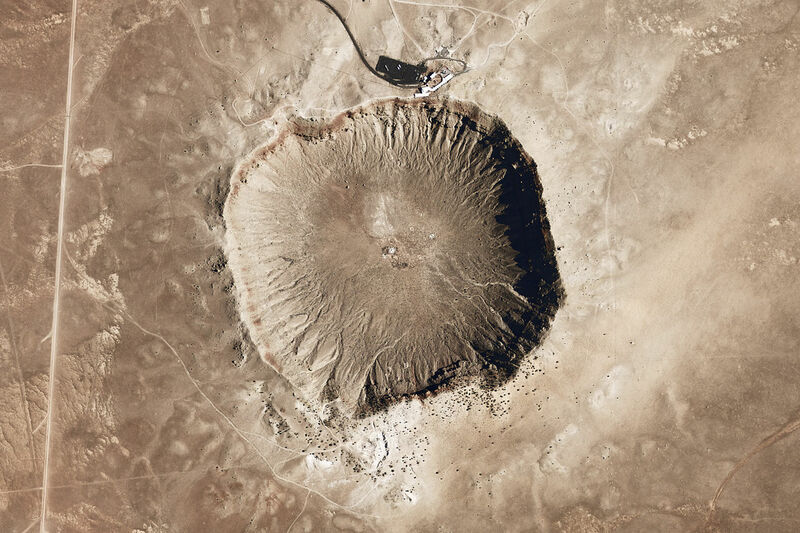 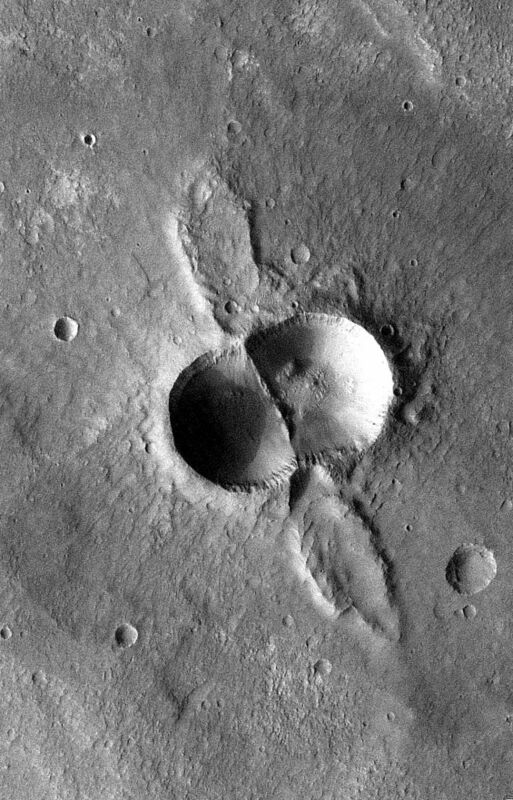 Impact craters are typically round with a raised rim and are either simple or complex, but on rare occasions, the resulting impact craters can be very different and unusual looking! 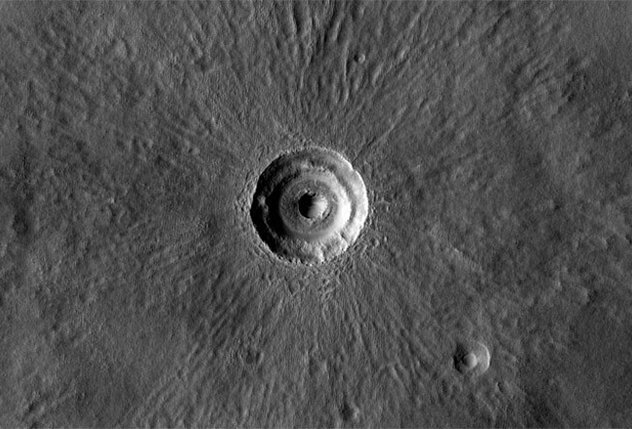 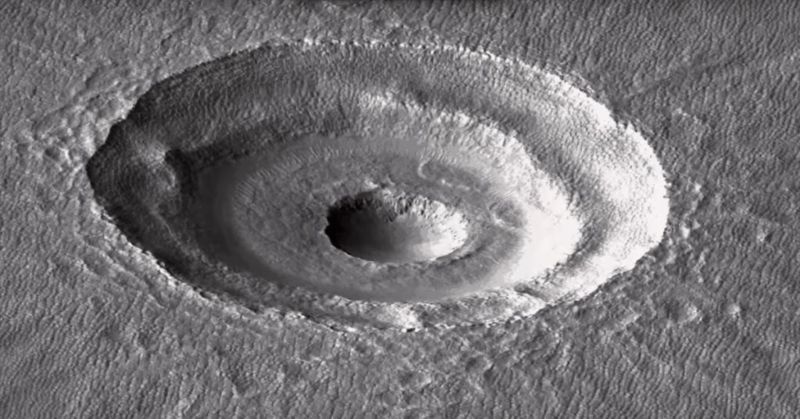 Impact crater structure depends partly on the angle of impact, partly on the impactor body but mostly on the surface environment (Learn more about Impact Craters). 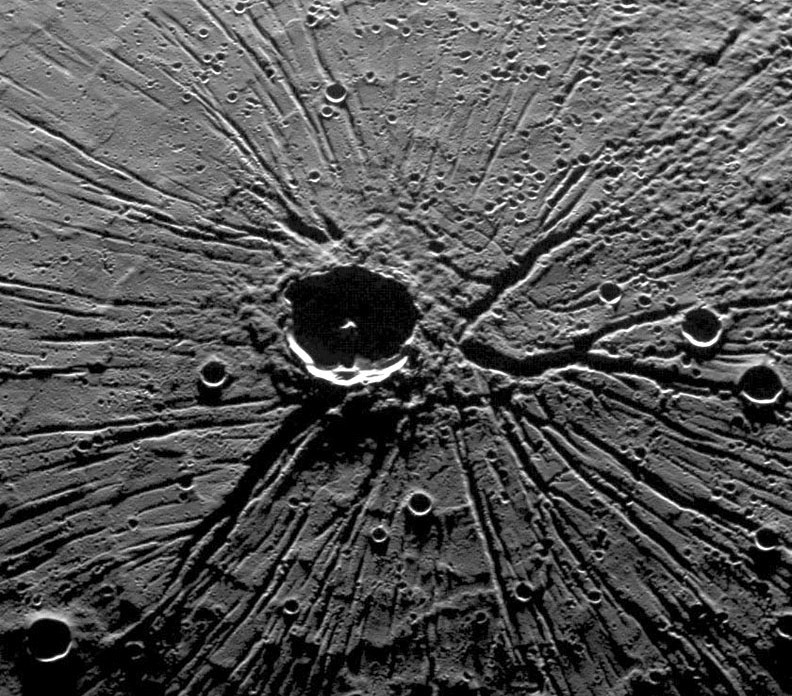 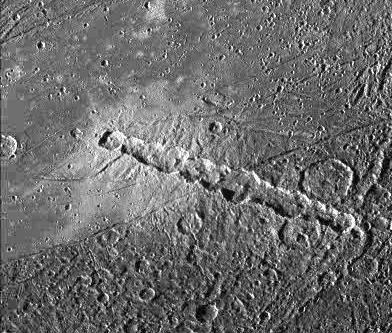 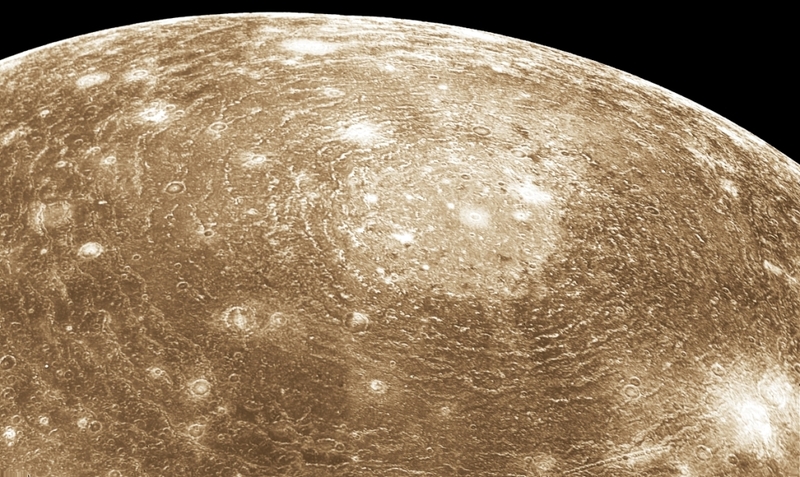 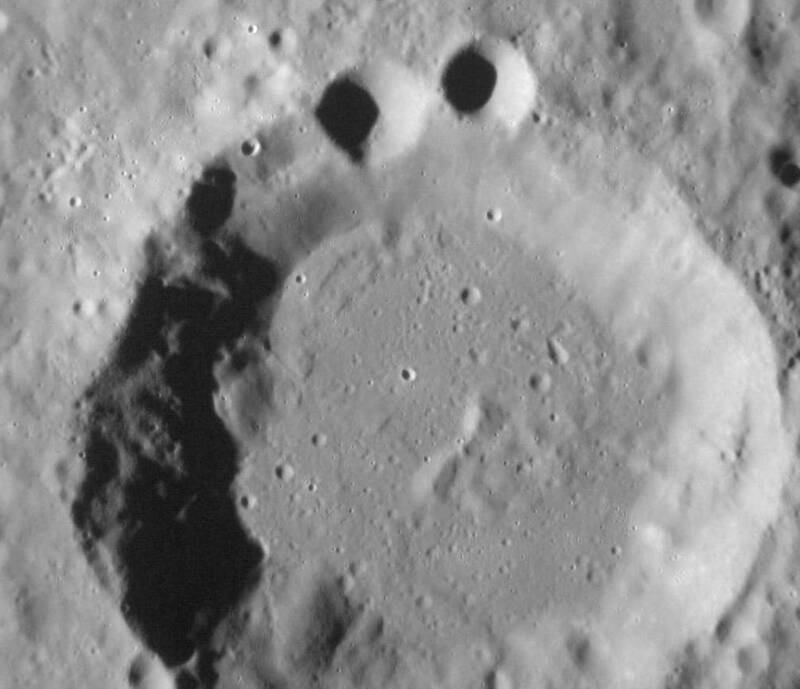 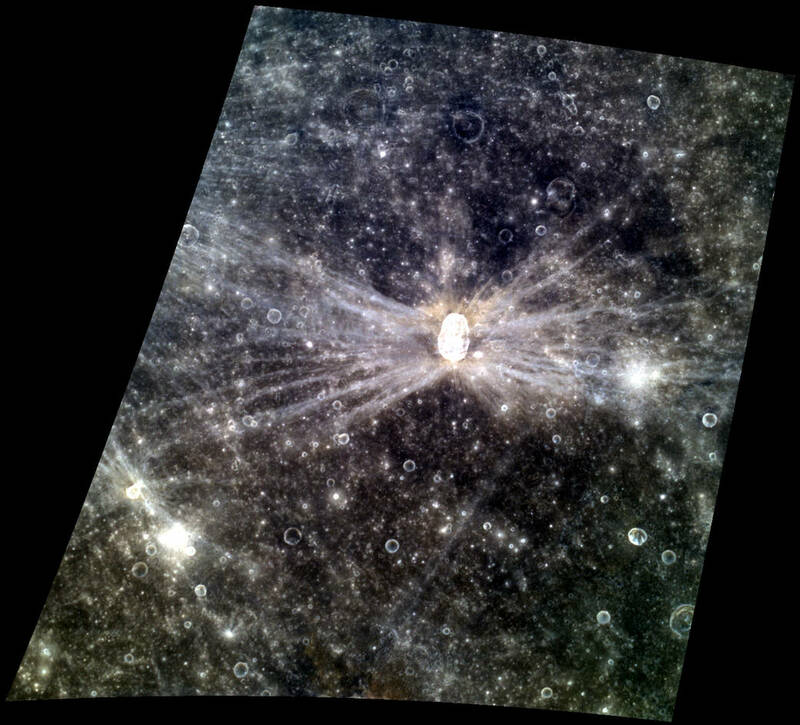 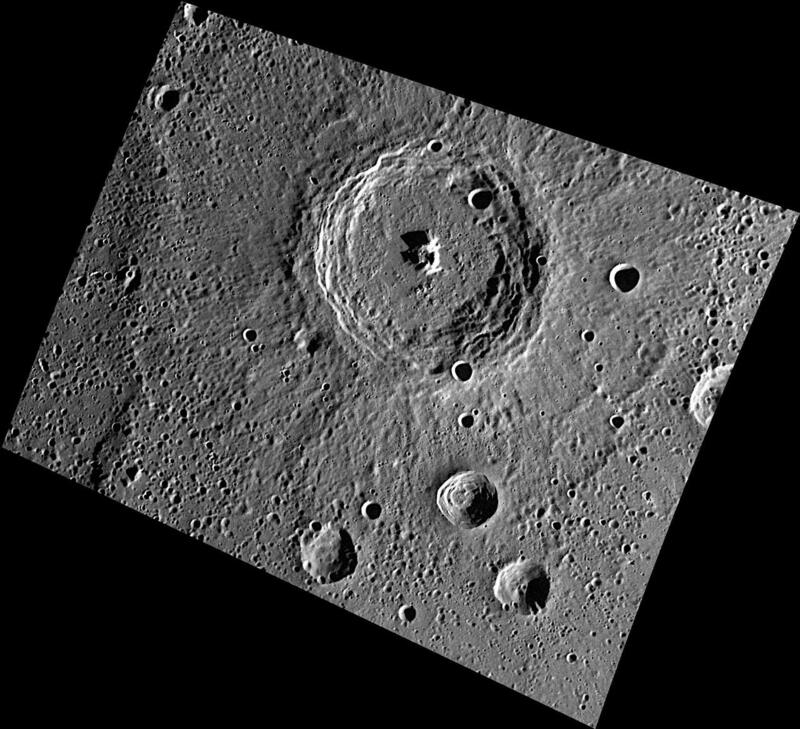 When impacts occur on cold dense rocky surfaces, such as, Mercury, the Moon, or minor planets, they tend to form certain predictable features which follow simple and complex crater formation. 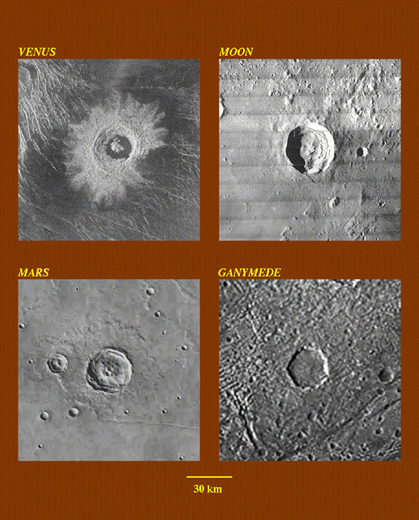 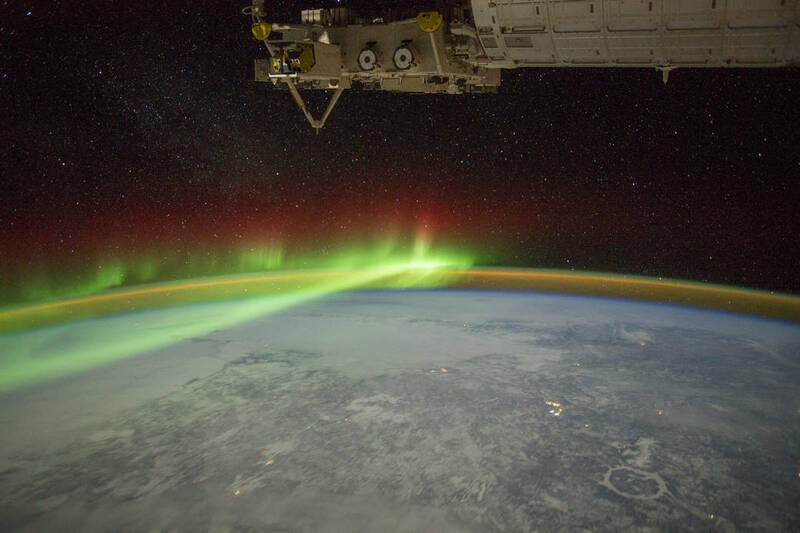 However, many bodies in the solar system don’t have hard rocky surfaces so the impact features will take different forms. 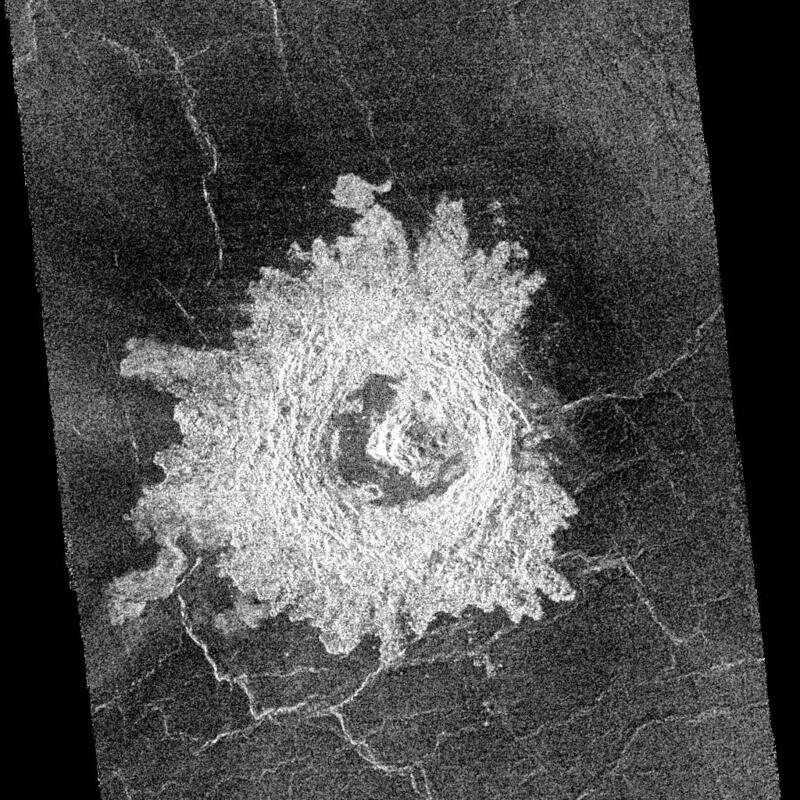 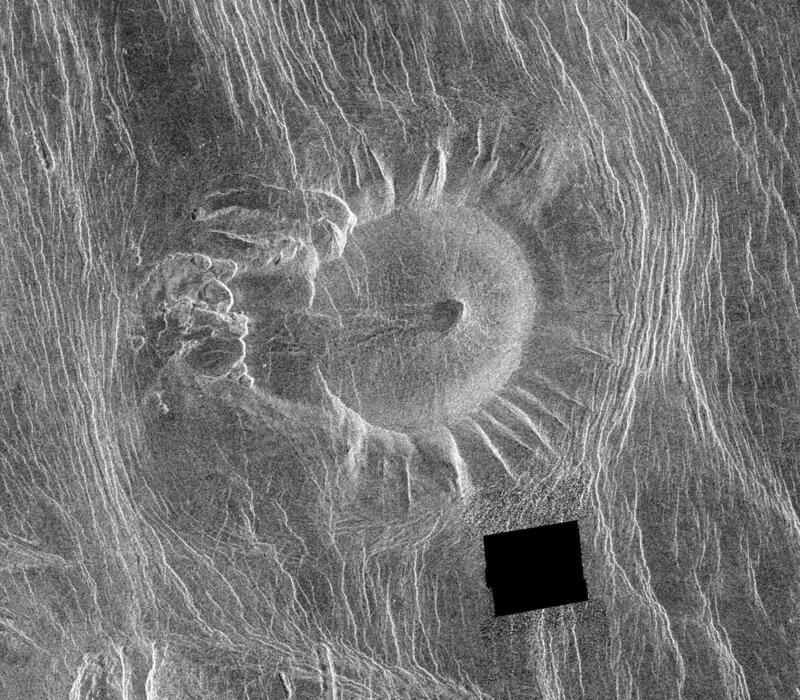 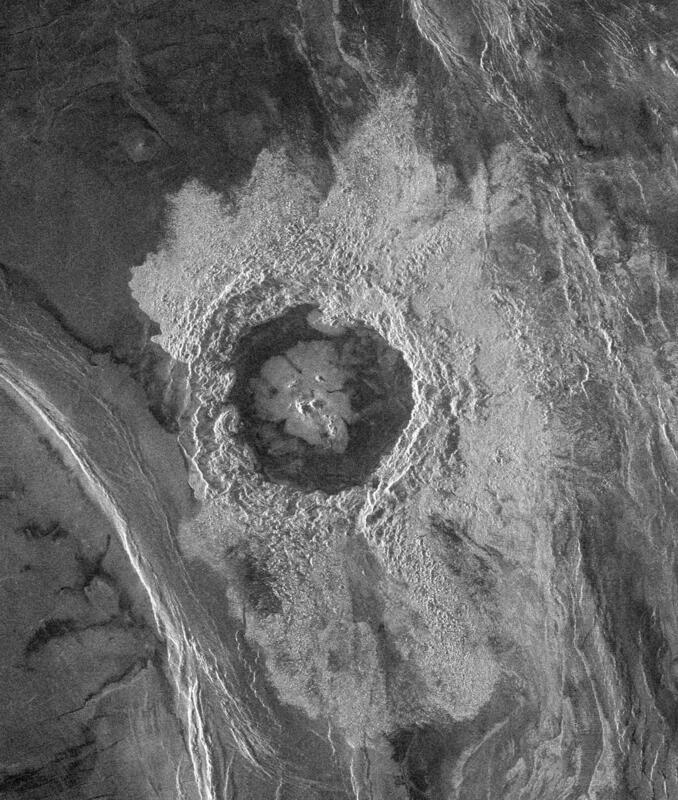 Venus, for example, is very hot, closer to the melting point of silicate rocks, so the ejecta from impact craters seem to melt and flow away from a crater. 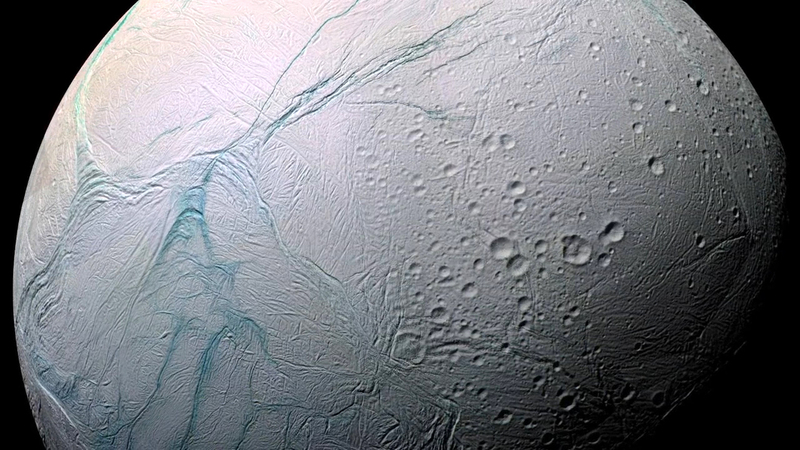 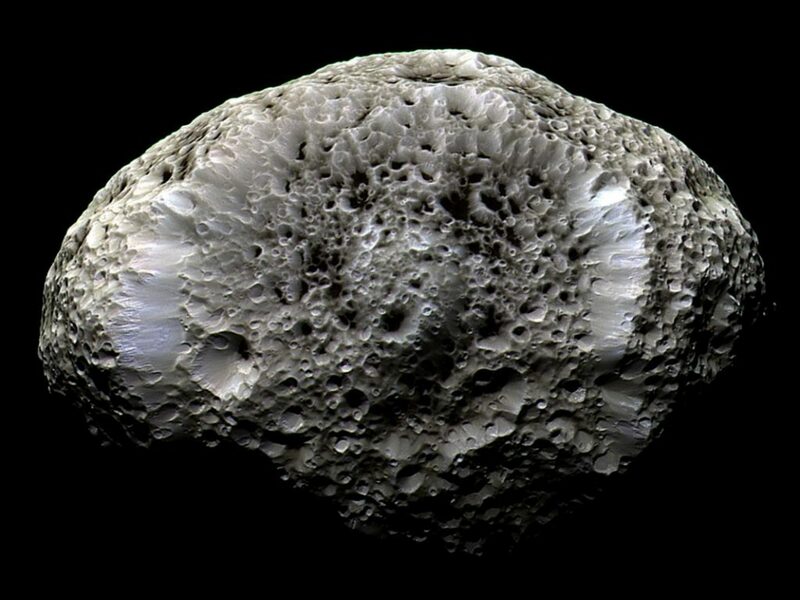 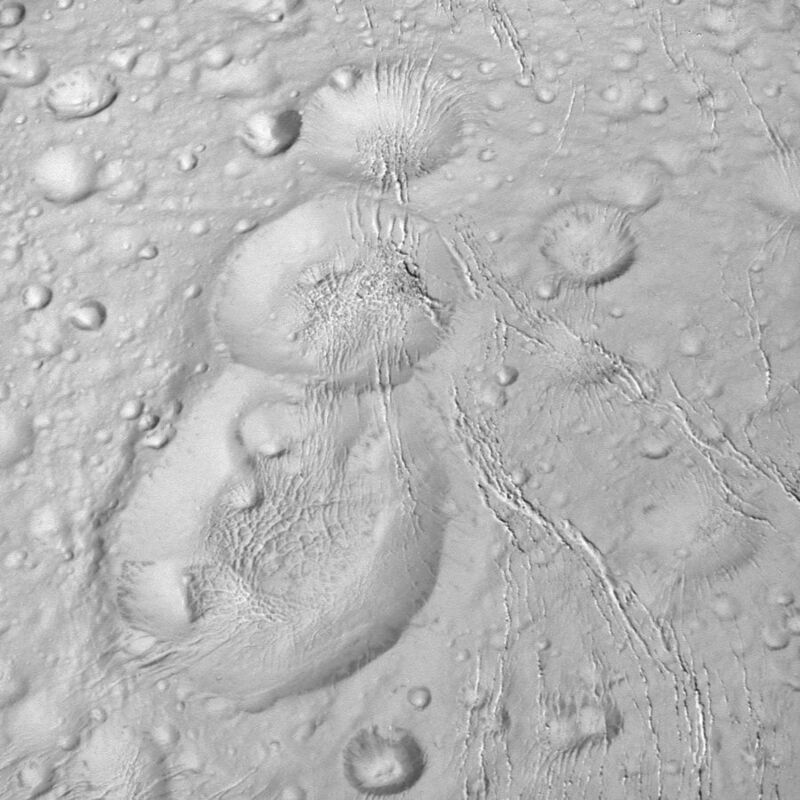 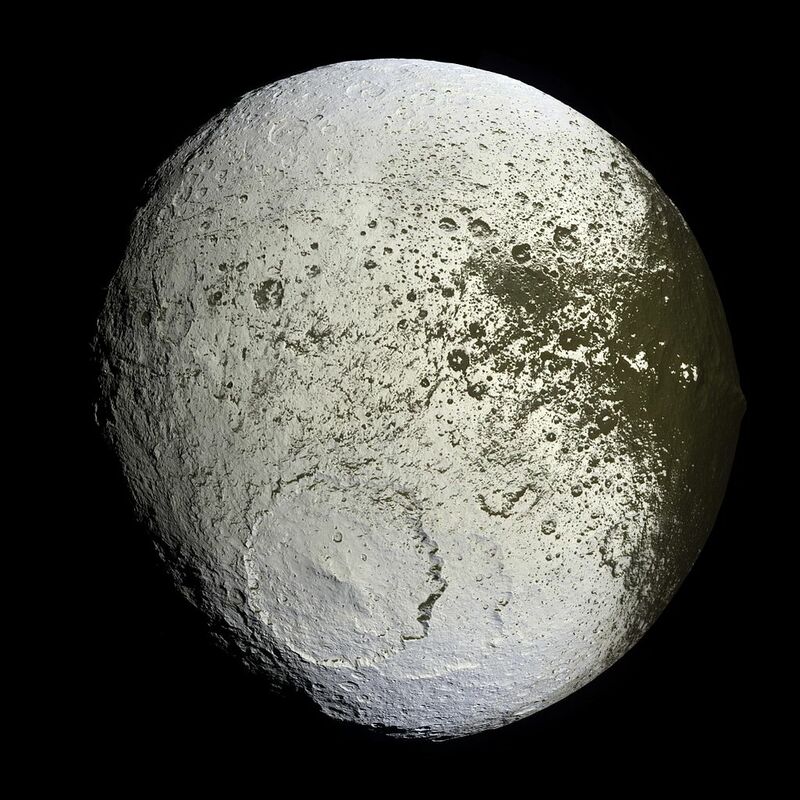 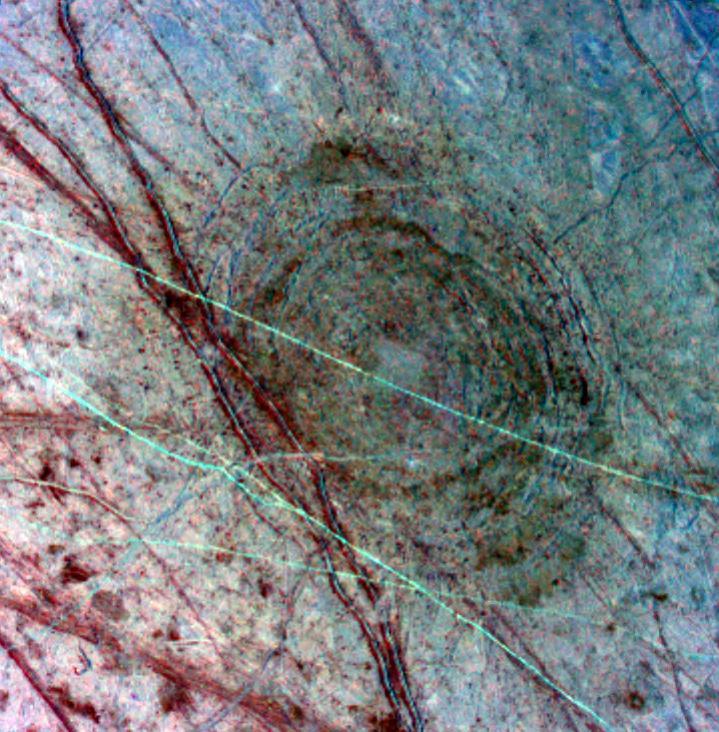 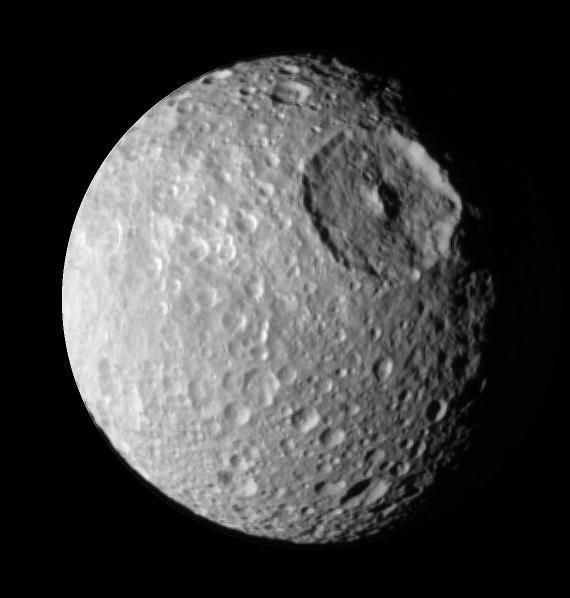 Icy moons of the solar system have either craters that flatten with time or have impact surrounded by concentric rings if there’s a subsurface ocean of liquid water. 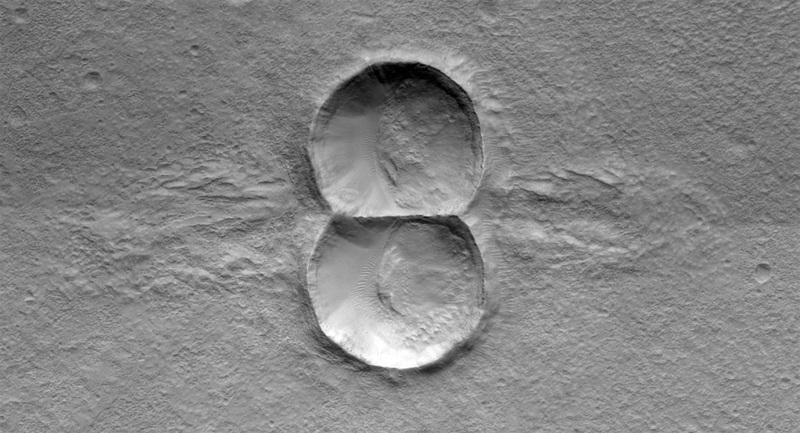 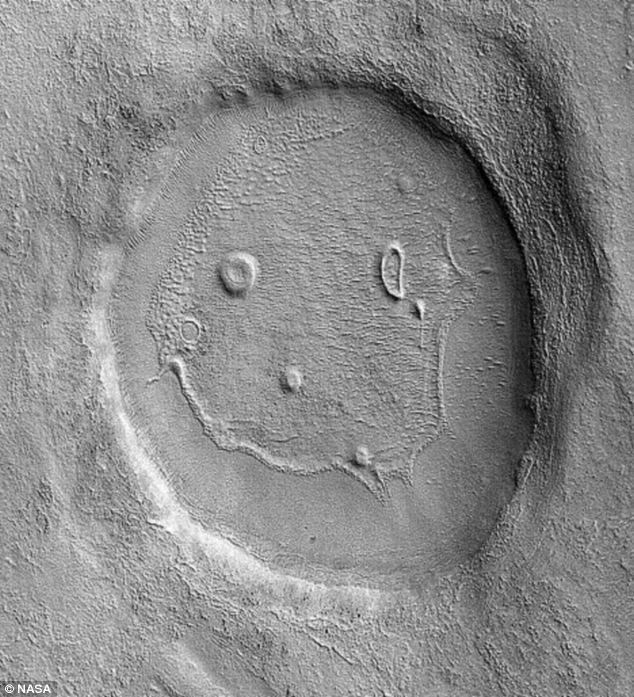 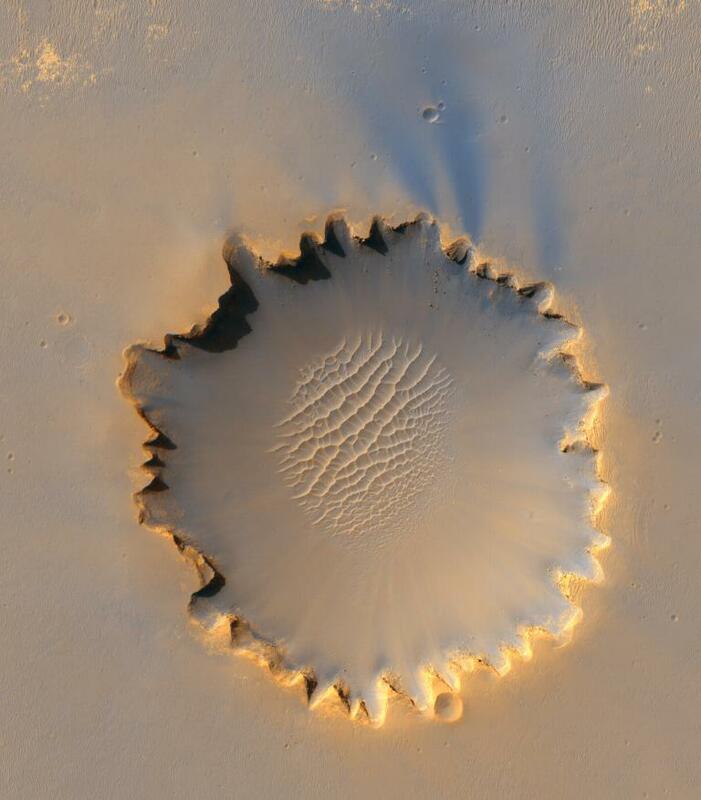 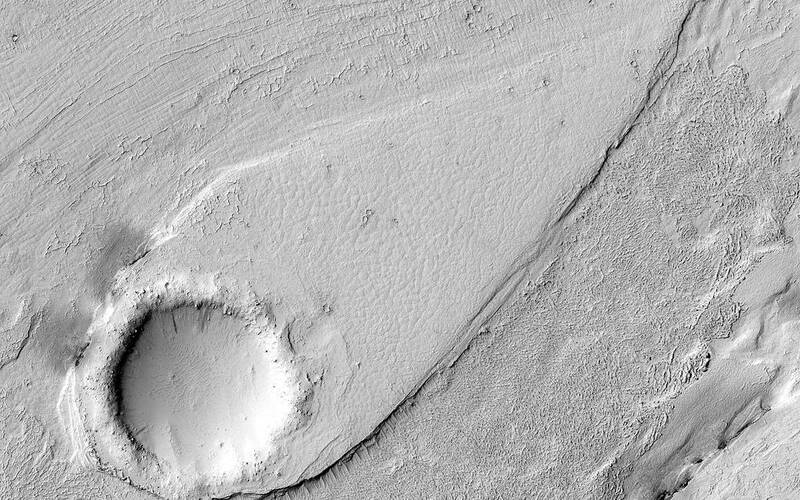 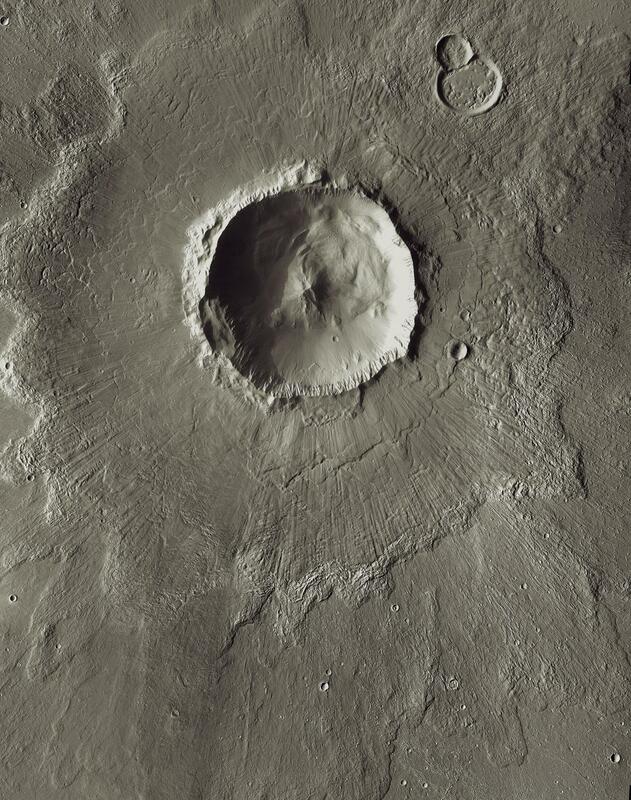 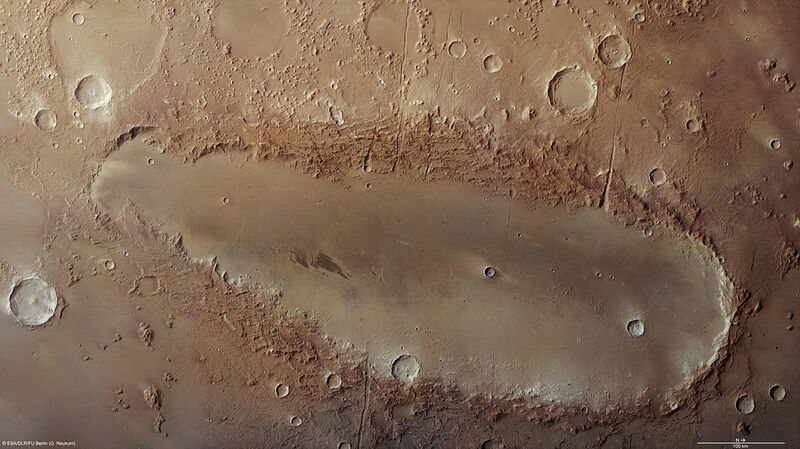 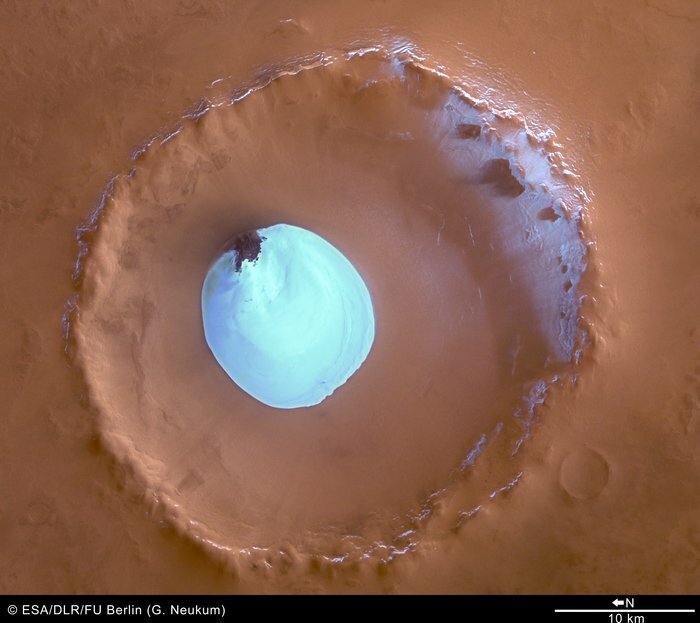 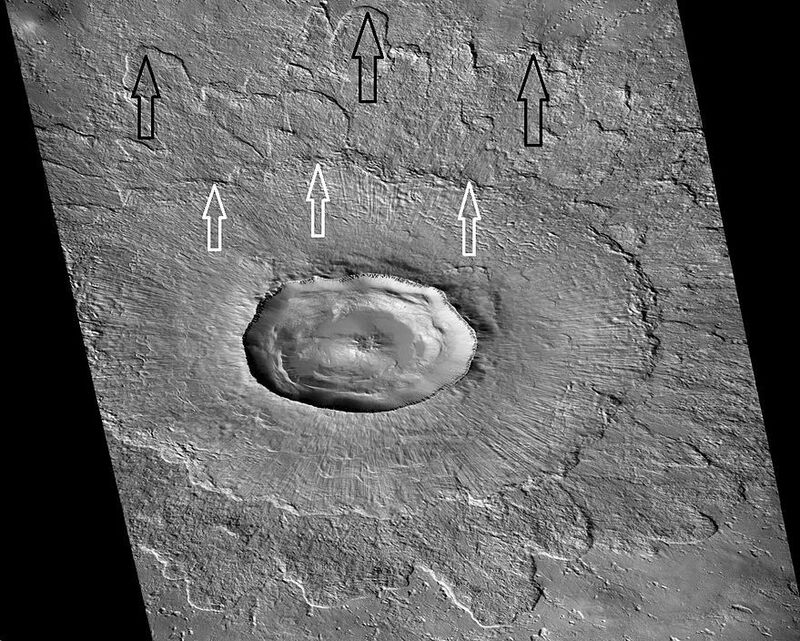 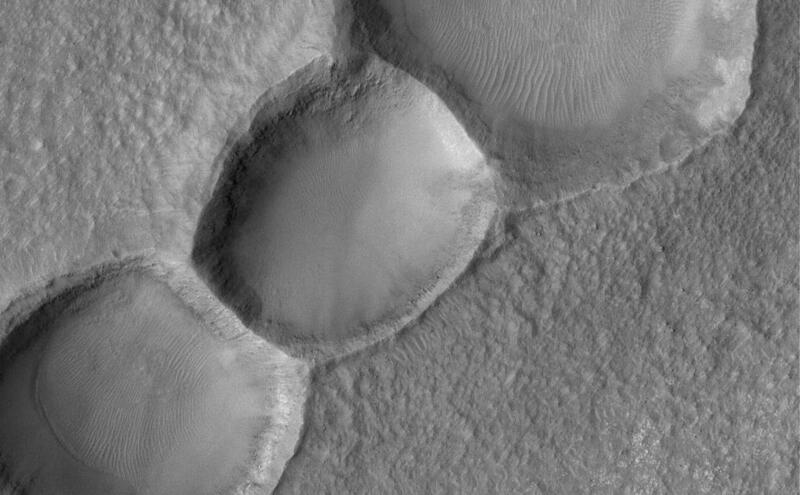 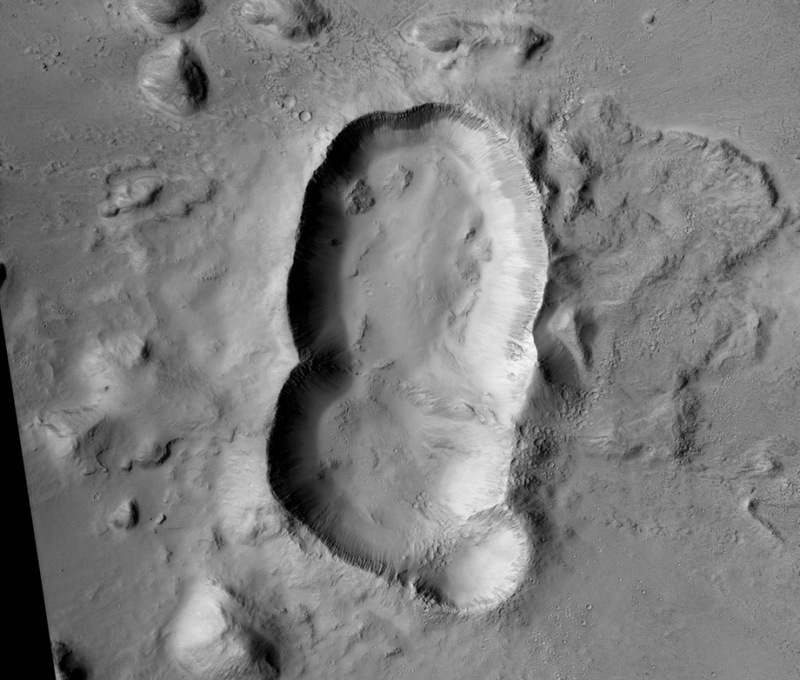 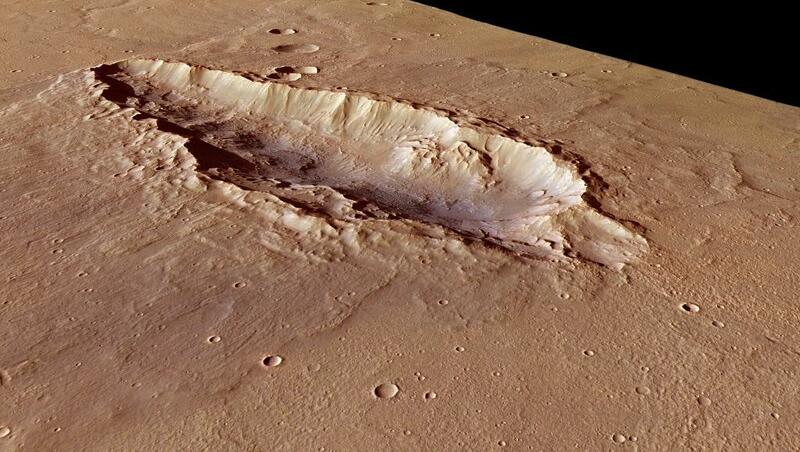 On Mars though, much of the higher latitudes contain ice underground, which leads to some unique types of craters that have special shapes due to impacts into the ice-rich ground causing the ejecta to splat out in weird ways. 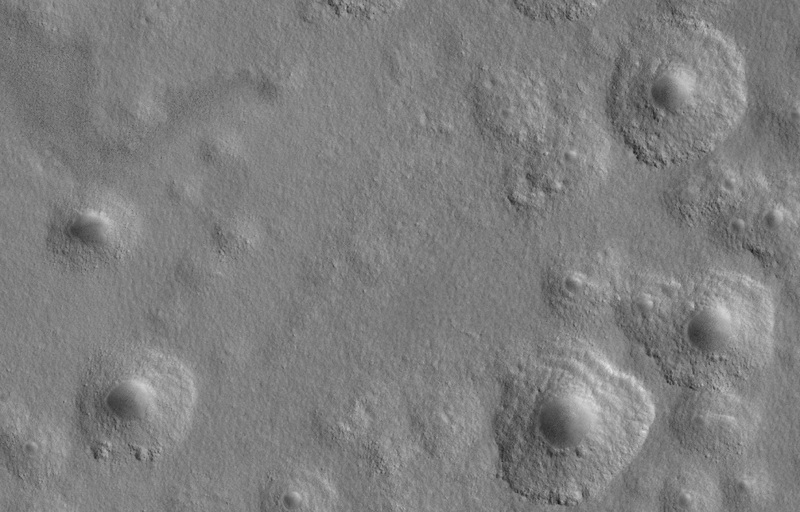 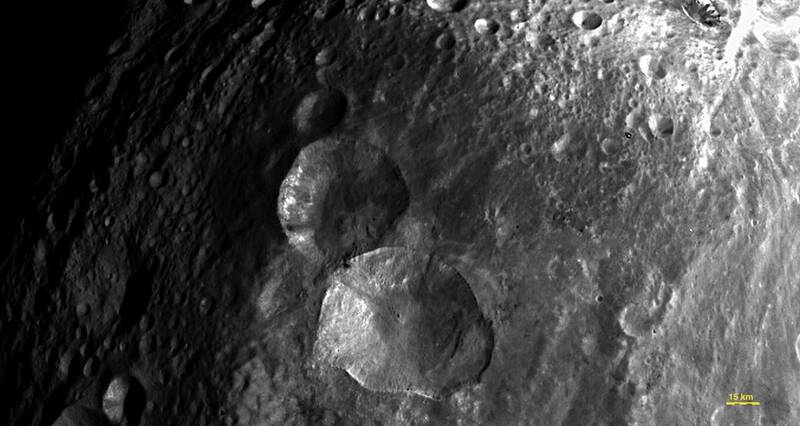 These are pedestal craters, rampart craters and expanded craters. 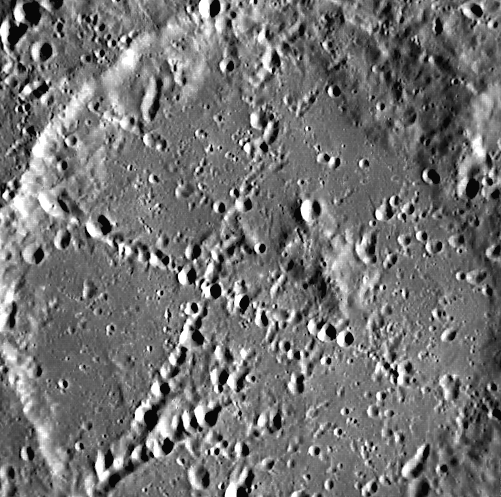 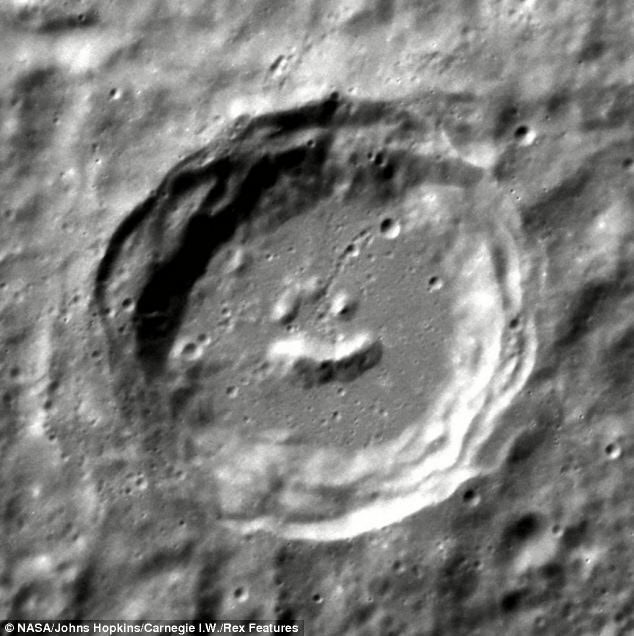 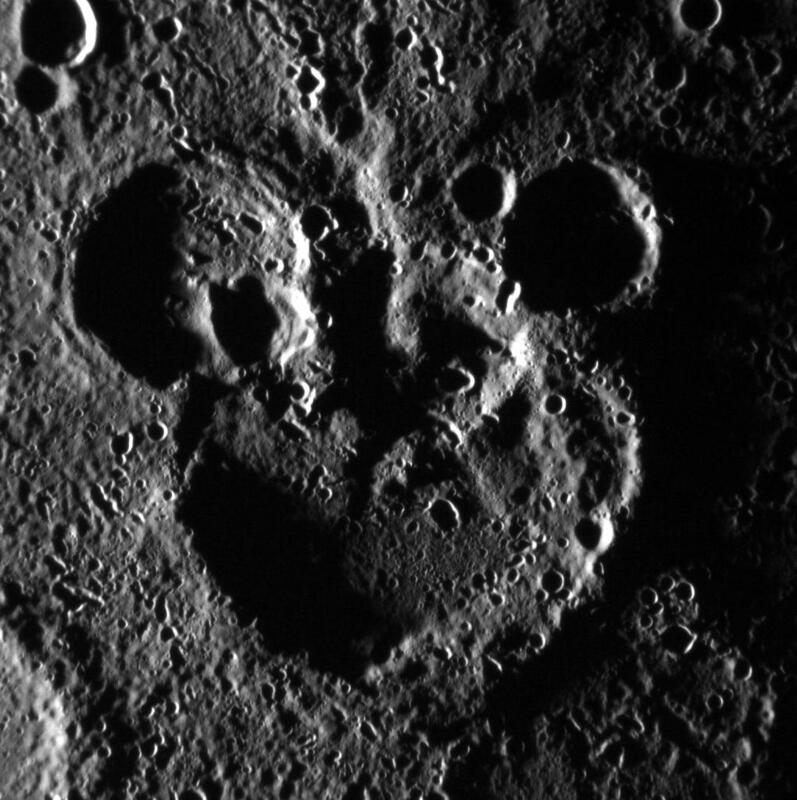 Most of the images below show some of these weird and varied craters as well as some of the coolest impact craters from around the solar system like crater chains, Snowmen and the Cookie Monster!